Two posts in one day, so unlike me, but I had to share my surprise. Yes, a complete surprise! Today, I came home from the store with my mom and we both noticed a package by the front door. We both were confused because neither of us ordered anything and we figured that my dad did. I got out of the car and looked to see that it was addressed to lil old me and the sender....OPI. I was shocked. I ran into the garage and ripped the box open as fast as possible...and to my surprise there were 8 pretty bottles of polish inside for me! I had ripped it open so fast that I missed the personalized little letter from Nicole by OPI. 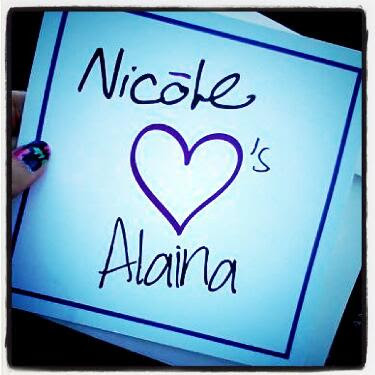 On the other side of card was this personal message from the Nicole Team. 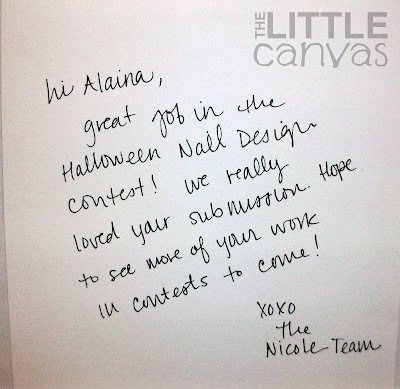 I entered a Halloween Manicure nail art contest on their Facebook page. With 86 votes on my manicure, I made it into the top 5. 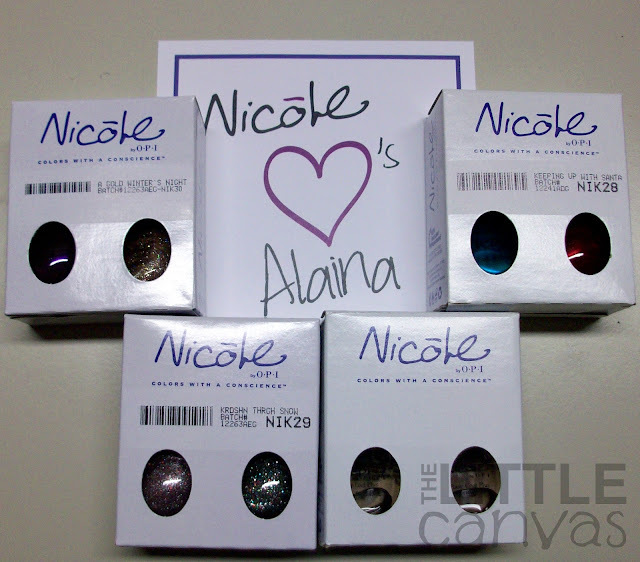 From the top 5, Nicole by OPI selected a Grand Prize winner, who received 18 bottles of Nicole by OPI of their choice. I was featured as a runner up on their Facebook page, which to me was a prize in itself. As runner's up, we were never told that we were going to receive any prizes, so this literally was a huge surprise. The contents of the box, four individually packaged nail polishes. After seeing "Krdshn Thrgh Snow" I realized that I had most likely received the Kardashian Kolor Holiday Collection :) After opening up all the packages, sure enough all 6 polishes were mine, plus a top and a base coat! The glitters! All is Glam, All is Bright is one I'm probably most excited to use. As you can see it is a very small hexed glitter polish. The colors remind me of candy canes, aka the perfect polish for a candy cane manicure...so stay tuned for that. Kardashin Through the Snow is a pretty multi colored glitter. Perfect really any time of the year. Can't wait to see how it looks on the nail! 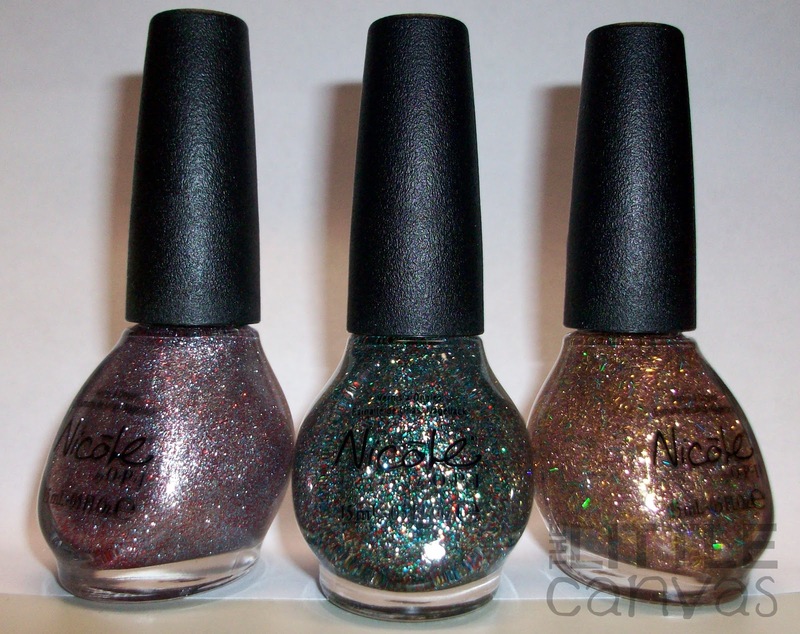 Then finally a glitter I never probably would purchase but am happy to have in my stash, A Gold Winter's Night. I'm not one for gold polishes, or bar glitters, but there is just something about this polish which makes me like it. It might be that there is a tinge of purple in it. Whatever it is, I'm using it tonight. Finally, I got Top Coat and Base Coat. Probably never would have bought either of these since I just got a brand new huge bottle of OTD and I'm happy with my base, but I'm definitely going to try them! Plus it is always great to have back ups! I really am happy with this surprise, and completely impressed with Nicole by OPI. I personally do not own any of their polishes since when they first were on the market they contained Formaldehyde which I'm allergic to. 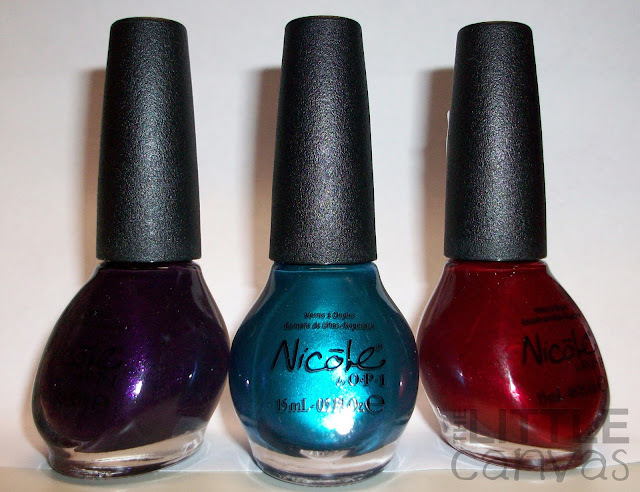 I noticed that they changed the formula on these polishes and I will be able to use them. 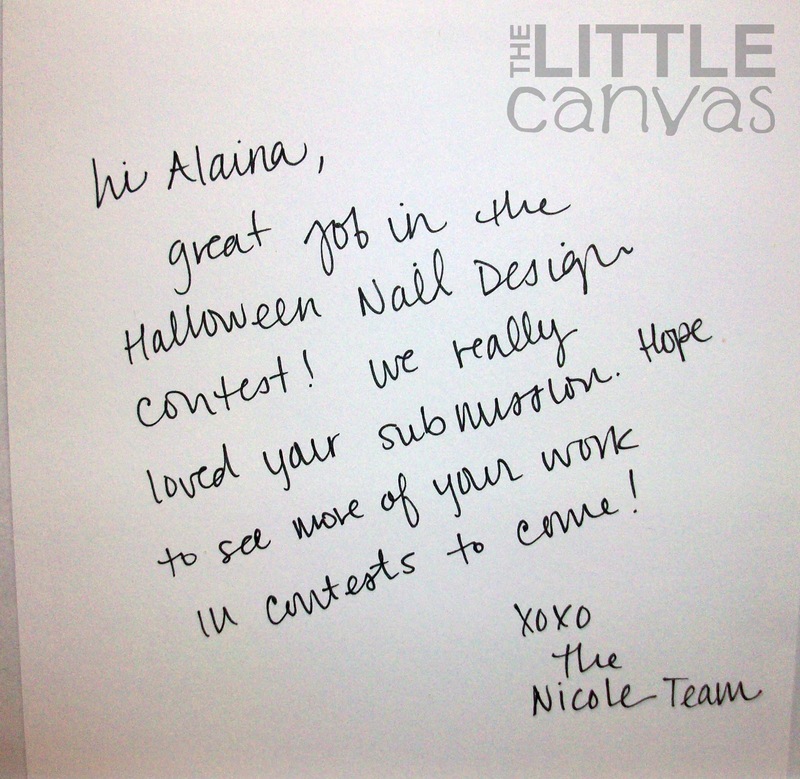 What impressed me most was that hand written note from the OPI team. It made the package personalized and, I don't know, it just was really nice to see a big company recognize a contestant. I think it's also amazing how they set me up to be able to do a complete manicure from start to finish. 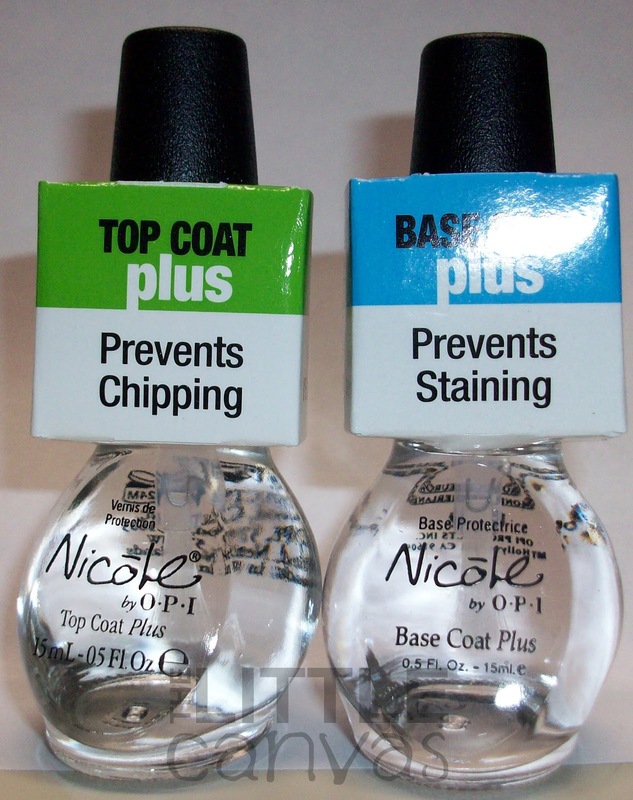 Obviously, I have base and top coats, but who knows if the other contestants do. 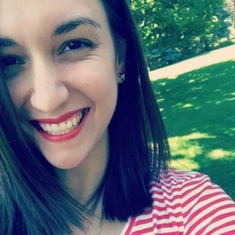 I am happy for you and impressed with the NOPI team! Nice surprise! Congrats on the win!